A group exhibition presented as a series of cumulative solo exhibitions. Each artist produces and presents new work in the gallery space at different times during the exhibition, choosing either to use or disregard what has gone before. For the curator, importance is shifted from spatial or thematic concerns towards the exhibition's time frame. For the artist, this format of group exhibition instigates and supports a much more active decision-making role than usual, asking them to respond physically to others' work in the space, so shifting elements of curatorial (spatial, aesthetic and thematic) control over to the artists. The curator's role becomes insignificant other than setting the initial parameters, passing all control of exhibited product back to the artist. The artist takes on the gallery as a temporary workplace akin to that of a studio, in which they find things already, which they must work with in some way. They do not bring along pre-made works ready to hang on the white walls or place on the floor - instead they become an ongoing work themselves in the space in amongst the visiting public. Noel Clueit is based in Manchester, UK. Sampling ready-made or reproduced objects, Clueit utilises shop bought objects, photocopied areas of art history books and appropriated record sleeves - commercial objects that riff between post-painterly abstraction and the purely decorative - altered in order to show their dumbed down 'modernish' appeal. Recent work explores authorship, reproduction and the relationship between reference material and the representation of objects. These materials are sourced in order to explore our unaware attachment to icons, compositions and the shifts of value and taste within contemporary culture. Recent exhibitions include: Burlington Fine Arts Club, Piccadilly Place, Manchester; We Are All In This Together, Bureau, Manchester; Painting Show, Supercollider, Blackpool; DEADPAN, Royal Standard, Liverpool; Legacy 1, Forman's Sculpture Yard / LIU Gallery, London; From This Filthy Sewer Pure Gold Flows, Rogue Project Space, Manchester, A Curriculum, A Foundation, Liverpool; Supercollider Embassy, Grundy Art Gallery, Blackpool; Sunflowers Satellite Gallery, Newcastle upon Tyne. David Martin is currently based in Bristol, UK. After graduating from Manchester Metropolitan University in 2004, he has exhibited in the UK, Spain, Scotland and Germany. Recent projects include We Are All in It Together (Bureau, Manchester), Rascals in Paradise (WSM) and Smokescreen (Galerie Art Report and Weltraum Project Space, Munich). David is a Co-Director of Exocet, an arts organisation which focuses its activity outside traditional art venues, and an independent curator, currently organising an exchange project between Cork and Bristol. Dan Meththananda was born in Margate in 1985 and currently lives and works in Paris. He studied mathematics at University College London, social sciences at Columbia University and worked in media research for a major American television network before attempting to become an artist in a French business school, HEC, in 2009. He has brown eyes. 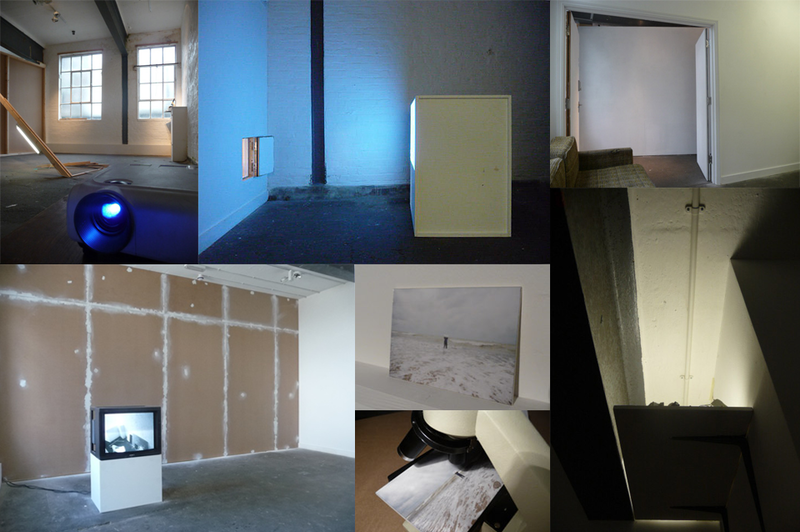 The Woodmill was formed in 2009 by a group of artists and curators to establish a dynamic environment for exhibitions and events combined with experimental and communal artists' production space.